The Higher Education Students’ Financing Board (HESFB) is a fund intended to provide financing to Ugandan students who have qualified for higher education in recognized institutions of higher learning but are unable to support themselves financially. 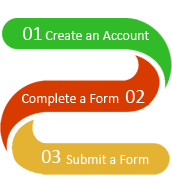 Get a Student Loan in 3 easy steps! Participating Universities in the Students’ Loan Scheme in the 2017/18 Academic year. Do you need a loan? Get in 3 easy steps! Check status of your application!